This dairy allergy thing is quite confounding. There are 3 different allergic reactions: digestive, respiratory, and dermal. You either vomit/diarrhea, can’t breathe, or get hives – or a combination of all these. I imagine that depending on how your body responds to the hypersensitivity reactions might make the allergy a little different for you. I have also read that ALL milk from mammals (only mammals produce milk, anyway, but this isn’t regarding “milk” from cashews, almonds, soy, etc), contains casein and lactose. Casein is the protein in milk and is what is thought to be the allergen in dairy products. Furthermore, casein and lactose are found in different ratios among mammalian taxa. There are also different protein and sugar variants within a specific mammalian classes, which may make an individual allergic to the dairy product from a specific animal. All of these differences and varieties among mammalian dairy add complexity to uncovering who is allergic and what specifically they are allergic too. Clinically, it’s not of interest to uncover how or why you are allergic – if you develop a hypersensitivity reaction to dairy then JUST DON’T EAT IT! To me it is just fascinating the varying degrees of hypersensitivity to dairy. Interestingly I read from UC Davis that the casein found in goats dairy is the same amino acid sequence, but they are structurally very different. If you’ve taken any molecular biology/or organic chemistry class you can appreciate the fact that STRUCTURE = FUNCTION! That’s a common theme of biology/chemistry. Proteins (such as casein) are made from amino acids (such as histidine, lysine, valine, etc), and amino acids are produced from genes, or more specifically, codons coded in mRNA. Once protein is translated, it must be folded before it’s active. There are four classifications for protein folding. Primary is the amino acid sequence. Secondary is the folding of that sequence into helices or sheets. Tertiary is the sheets or helices folding on each other. and Quaternary is tertiary structures interacting with each other. 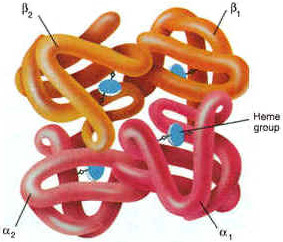 Not all proteins undergo Quaternary folding; an example of this level of folding is seen in hemoglobin. So potentially among these 3 or 4 stages of folding, there can be many structural differences that arise. I mentioned all that, because once you can understand whats happening on the small scale, it’s easier to understand why there may be a difference between proteins among different species. Specifically, if the casein in goats milk and casein in cows milk have a very similar amino acid sequence, but they are structural different (ie folded differently), they will most certainly have different functions and different effects as an allergen. I’m half Italian, so I grew up eating cheese. When I was about 16 is when I started developing issues with it. So it’s SO HARD to not eat cheese especially when I go home for dinner! For the sake of my intestinal tract (as well as being less mucous-y and less breakouts, oh the benefits of no dairy) I try to go for vegan dairy options when I can. Sometimes vegan cheese options just don’t cut it for me, so I will try to find other mammalian alternatives. I’ve already stated a lot about goat but I do enjoy mozzarella from buffalo and Pecorino Romano which is from sheep. I have two recipes we made up this week. 1) pizza made with vegan mozzarella, and 2) baked ziti made with Pecorino Romano, vegan ricotta, and buffalo mozzarella. Vegan Mozzarella found at Trader Joes. Buffalo Mozzarella can be found at an Italian grocery store, Trader Joes, and sometimes Whole Foods. Pecorino Romano can be found just about every where! Just read the label to make sure it is not mixed with any other part of cows milk. I have to say, if I have the choice between vegan mozzarella and buffalo mozzarella, could you guess which I’d choose? The choice is obviously buffalo. Any of these recipes you can substitute for “real” cheese or whatever you want. The possibilities are endless with different types of cheeses! I hope to provide some ideas for you to make your dishes vegan, cows milk free, or go all for it and use cows dairy! dough should be made about a day before use. recipe makes (3) 12” pizzas. add flour, sea salt, yeast to bowl and whisk. transfer ball of dough to a clean bowl, cover with Saran wrap and let sit for about a day. you will see little bubbles coming up, and dough will rise. once dough is done, separate into 3 equal balls. Use all 3 right away, or pack what you don’t want into individual zip lock bags and refrigerate or freeze. 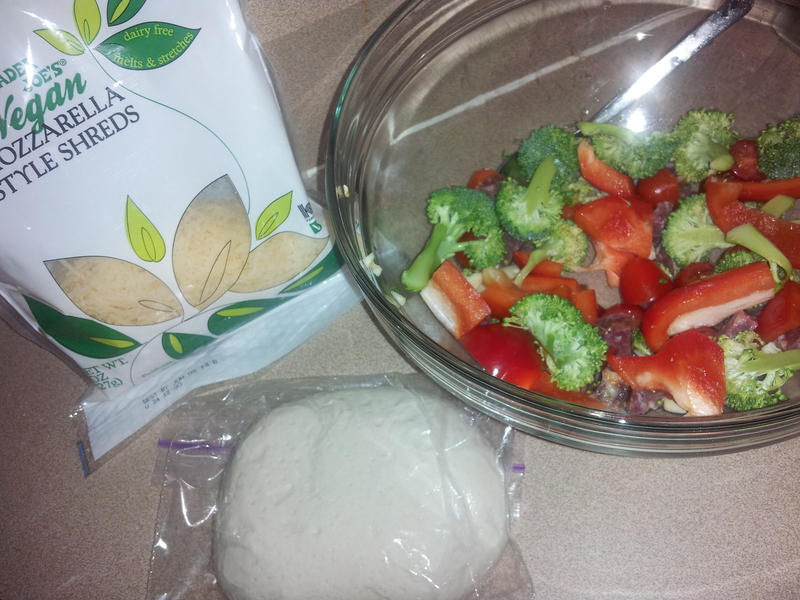 to use the dough right then, flour the counter and use your hands to shape dough into 10-12” pizza. Diameter differs based on how thick you like your pizza. 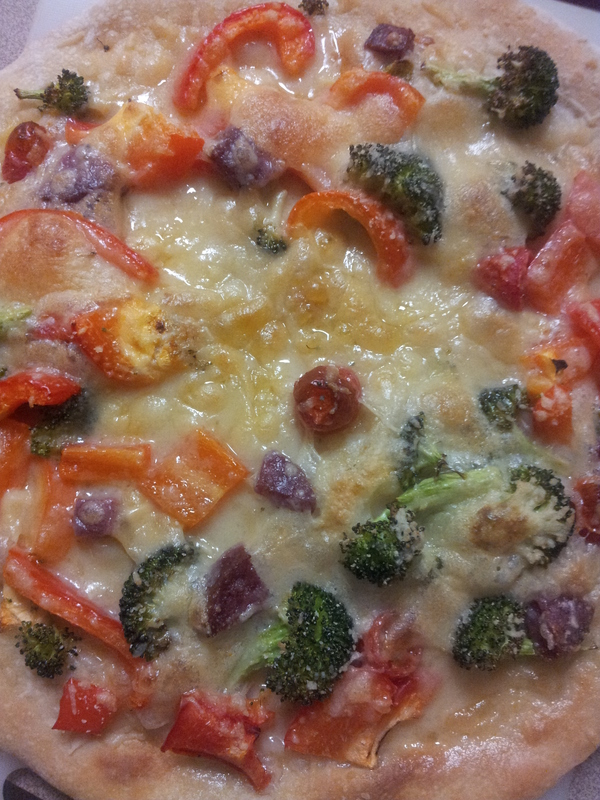 our pizza was made with the following vegetables & soprasata and no tomato sauce, but you can add whatever you like! preheat oven to 500 degF, put pizza on baking sheet, bake for 10 min. VIOLA! vegan mozzarella. big question – does it melt?! and the answer is ………… YES! yes it does! Recipe from my dad, with my substitution of Tofutti Ricotta cheese. Makes several servings in an 8″x8″ square dish. Put 8 oz of sauce on bottom of pan, pour ziti mix on top, top the ziti mix with remainder sauce. Preheat oven to 350 degF, bake ziti loosely covered with foil for 45 mins. After 45 mins, take off foil, add mozzarella, and cook for mozzarella to your liking. Usually about 10-15 mins more. 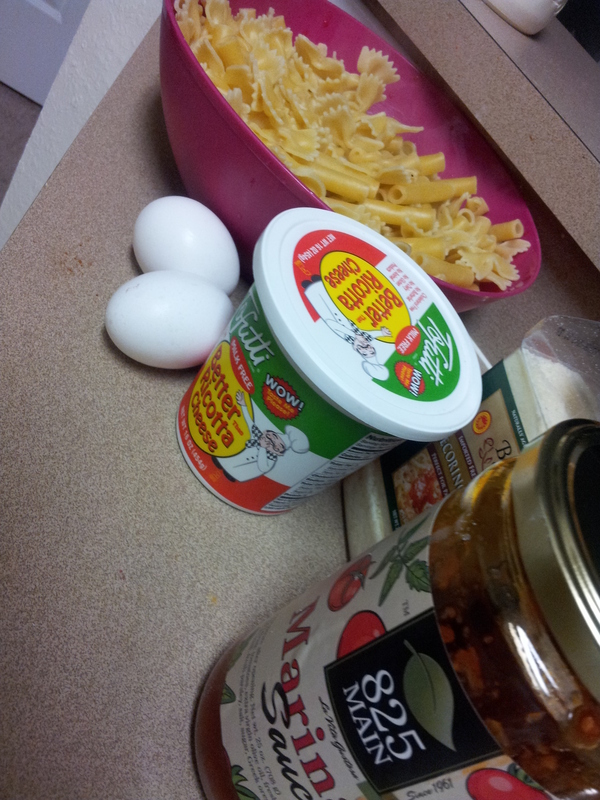 Once I started getting everything together, I realized I had very little ziti, so I mixed ziti, farfalle and gemelli. My 3 favorite pastas so I liked it!